The latest Jerusalem Strategy Gaming Club session report is up. Games played: Dominion/Prosperity, Settlers of Catan. We enjoy Prosperity. Our two games (Dominion and Settlers) take a long, long time. DHL's tracking service claims that one of my packages couldn't be delivered, even though I work from home and was home all day. And the other package, sent at the same time, is apparently on a plane over the Mediterranean, and has been since Dec 23. I have 5,695 magic cards, not including basic, non-foil lands and a handful of foreign language cards. That's about 4,000 too many cards for my needs. I'm offering them for sale first to my game group, and then to my readers and the Israeli public, and then to whomever. Take a look. The quality ranges from very good to acceptable; I tossed out the unplayable cards, but a dozen or so of the remaining cards have noticeable corner bends, and around a quarter of the cards have whitened edges from use. I probably mislabeled some of the cards by the wrong expansion, but not many. Ask if you need to know. Anyone interested in picking up any cards that my game group doesn't is welcome to email me. Rachel's luggage finally arrived, so I got my first secret santa gift which was mailed to her in the states: Canal Mania. The other secret santa gift is supposedly in transit, but it's been in transit for a month. Hoping it shows up eventually. I also got Dominion Prosperity, Glory to Rome, and Gosu, which I bought for myself. And, on the way from Amazon.de, are Shipyard, Carson City, and Tobago. I would have added Die Handler and maybe Blox, but I had to face the fact that no one in my game group was going to play these with me. Several other games I wanted either weren't available on Amazon.de or couldn't be combined with their cheap international flat rate shipping. They'll just have to wait for another season. Lastly, I got the game I need to ship to someone else in Israel as their Secret Santa. Somewhere along the way (or at the original point of purchase) one of the box cover corners split, which is a shame. Tikal is a fine game, however, so hopefully it won't matter. The latest Jerusalem Strategy Gaming Club session report is up. Games played: 1955, Schotten Totten x 2, Race for the Galaxy. Games are sometimes better when you play then with the correct rules; then again, sometimes they're not. Merry pagan solstice to all of you who celebrate it. The latest Jerusalem Strategy Gaming Club session report is up. Games played: 1955 x 2, Navegador, Louis XIV, Schotten Totten, Bridge. 1955 is on kickstarter, a game prototype. I think of the game as 1960-lite; of you like 1960 and want a shorter version, get this. We love Navegador. I must get a copy for the group asap. We had our good friends David and Sharron over, and we were all invited for dinner to reps of a local synagogue also happened to be my fourth cousin. Her husband had brought back a bunch of dice from China where he had learned how to play Liar's Dice (I thought that Liar's Dice was a slightly different game, but I was mistaken). He and David and I played most of a game, and he lost badly. The next day, I taught Tal's friend Toby how to play Settlers of Catan. Tal and David and Sharron's son Yoni joined us, and we had some rollicking fun. After lunch I taught Sharron and Yoni how to play Shotten Totten (getting all of the bonus cards wrong) and they played twice while David, Nadine, Mace, and I played bridge. And what did you do this weekend? I gave each of my brothers' families a copy of Jungle Speed for Hanukkah. It's currently very popular among Israeli teenagers and children. 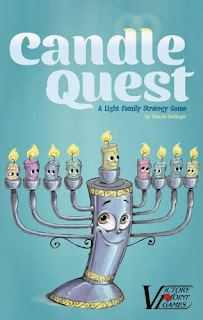 We didn't have game night this week, owing to Hanukkah, Rachel leaving for Toronto/Boston for two weeks, and Rachel and I taking a trip up north for Limmud Galil - she taught and learned, I worked. I brought a few games with me just in case the social opportunity presented itself, but it didn't. I sent my Netrunner collection with Rachel to Toronto; it will be picked up by someone who bought it from me (at a steal, I think). Of the other games I wanted to sell off, Binyamin of my local group bought eight of them. 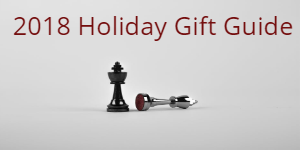 Rachel will bring back a few games I bought (Dominion: Prosperity, Glory to Rome, Gosu, whatever my BGG Secret Santa sent me, and a game I have to send to someone in Israel as TDT's Secret Santa). Last shabbat I played with my downstairs neighbors' guests' kids. We played Cranium Whoonu. Each player takes a turn to be judge. The other players play a card with an item or activity that they think the judge will like. The judge arranges the items according to likes most to likes least. The players receive points for having guessed well. Then, oddly, each player passes half their cards to a player on their left, which means that you may know later as a judge who played what. I didn't actually look at the rules, so maybe the kids added that one themselves. After that nonsense, I ran upstairs and brought down For Sale, which none of them had heard of naturally. We played twice, and one of them wanted to go buy it. This shabbat I went to my mom's in Beit Shemesh. After lunch I played Parade with my hostess and her 20 year old daughter. They got it quickly and liked it. I won. Later in the afternoon I played Scrabble with my mom. I had a bingo, and I thought I was doing much better than she was anyway, but discounting the bingo I only beat her by 20 points. Hmmm.